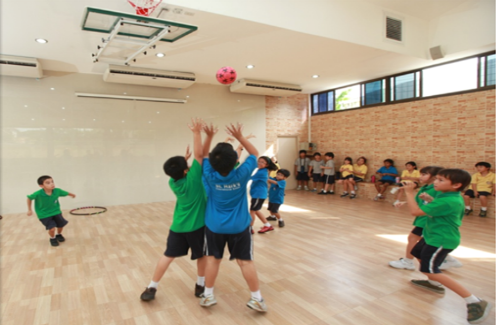 Our exterior facilities are equipped with a sports gymnasium, an artificial turf soccer field, a basketball court, a salt-water swimming pool, and large garden with ponds, a vegetable garden and a playground, which provide an excellent ground for effective teaching and learning of a variety of cognitive and physical activities. For our interior, besides our bright and airy library, the school has a variety of other special facilities for extra-curricular subjects such as piano, Thai music and dance, common room for playing games during leisure time, computer room, science and art room. The 2 science laboratories have assisted our students in learning through practical work discovery, which allows them to understand their lessons through hands-on experiences. 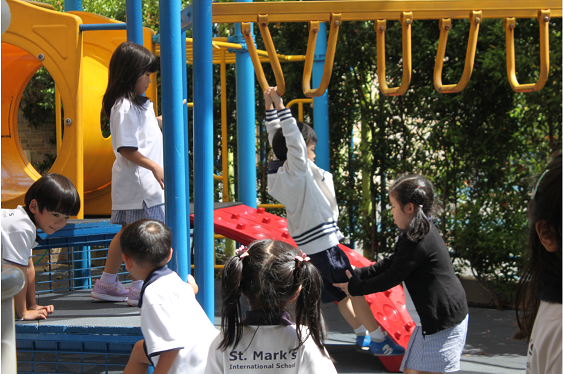 These facilities enhance our students' experience and understanding of their daily learning.